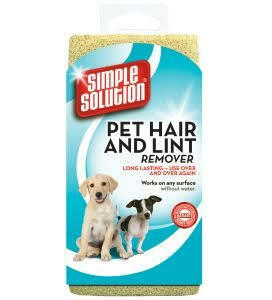 Simple Solution Pet Hair Remover Sponge. Instantly removes dog hair and lint from clothing, furniture, carpeting, pet beds and other surfaces. The Pet Hair Remover can be cleaned easily with soap and water and be used over and over again.